Today’s modern consumer dislikes interruption and now has the ability to choose when, where, and if they will see a brands advertisement. In the age of the Internet and innovative technology, consumers are in the driving seat when it comes to marketing and advertising. In order to stay relevant, brands must adapt to changing consumer needs by providing value in the form of great content. “Content is really the only marketing that’s left”, as said by Seth Goden. 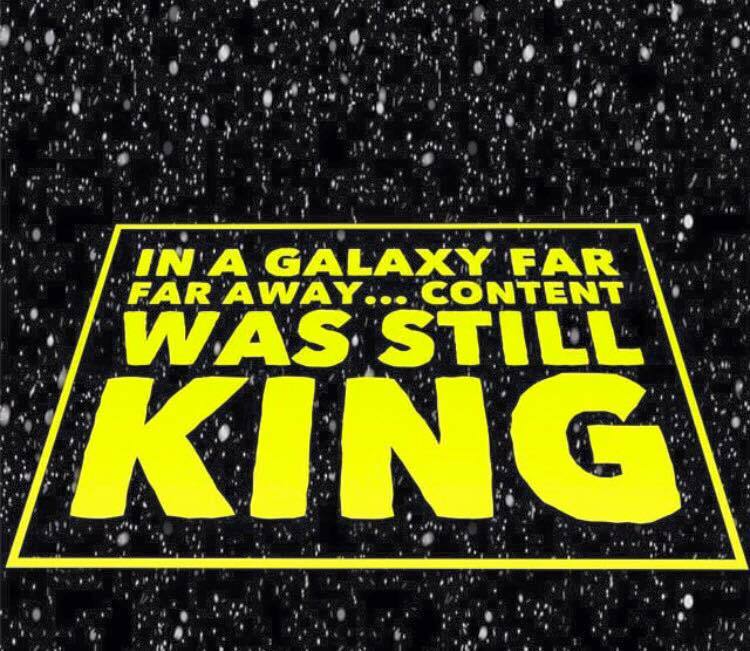 Content is and will always be king! There has been a demand for content consumption since the beginning of time. More than ever before, there is an infinite supply of information that is accessible to consumers and brands. This has given way to the rapid rise of Content Marketing. The Content Marketing Institute has defined content marketing as a marketing technique of creating and distributing valuable, relevant and consistent content to attract and acquire a clearly defined audience. Content marketing strategy can be implemented in the marketing mix through blogs, social media, videos, newsletters, e-mail, and many more! In the information age, the goal of advertisement and marketing is simply attention. Technology has increasingly fragmented the media universe, making it increasingly difficult for brands to push their message upon consumers. “The consumer is the CEO of content”. Consumers are in control of the information and brand message that they want to receive. It is important that brands provide valuable and relevant content that serves the needs of consumers in order to garner their ‘attention’. There is currently a paradigm shift happening in the marketing and advertising world. Technology has shifted how consumers receive their information, which has sparked a new wave of content marketing. Traditional advertising is no longer the only viable method to promote your brands product or service. In fact, consumers despise knowing when they are being sold too and can even opt out of your message entirely. The rise of ad blocking has shifted brands from producing “me” marketing to “you” marketing. Advertising is no longer effective since attention can no longer be forced. “Marketing is no longer about the stuff that you make, but about the stories you tell” Seth Godin. The original idea behind marketing is to promote and advertise your products, and services to potential customers (Wikipedia). Unfortunately, most people today view marketing as only selling products and ‘pushing’ their message upon the world. However, it no longer is effective to think that way. Marketing strategy must be shifted from a product-oriented focus (push) to a consumer-oriented focus (pull). Thanks to the Internet and social media, consumers now have a voice and brands can create direct relationships with their audience. No longer do you have to rely on traditional advertisement through 3rd party media conglomerates. “Content marketing means creating and sharing valuable free content to attract and convert prospects into customers, and customers into repeat buyers. The type of content you share is closely related to what you sell; in other words, you’re educating people so that they know, like, and trust you enough to do business with you” (Source: http://www.copyblogger.com/content-marketing). Traditional and even digital display advertising doesn’t have real ‘value’ to consumers. People don’t share advertising without value. The major benefit of content is that when done right, it is shared by the consumer. This means that it must provide value in ways that are helpful, entertaining, controversial, or personal to the consumer. The focus of marketing strategy must be on innovative ideas, interesting themes, incredible visuals, and relevant information. 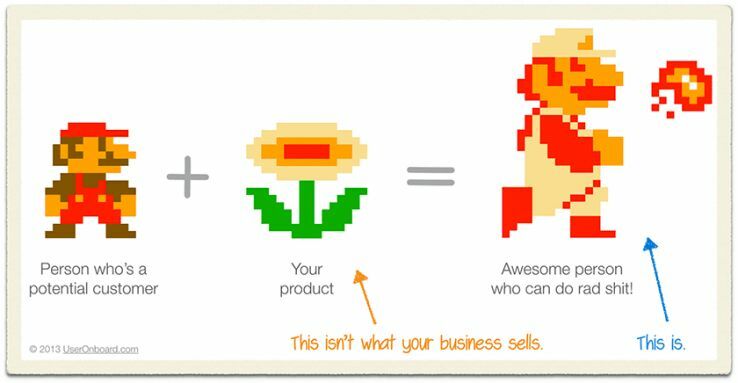 Consumer's don't need your product, they need solutions to make their lives easier (and so they can do rad sh*t). Consumers have disengaged from traditional advertising, thanks to a fragmented media landscape, and have become obsessed with content. Content Marketing is the child of the Internet age. The secret to content marketing isn’t that much of a secret at all; it’s to add value. Good content builds trust and long lasting relationships. Most importantly, the content must be compelling and serve the needs of the audience you are trying to reach. To put everything into perspective, the mission is simple...focus on the consumer, learn from your audience, and emphasize loyalty.